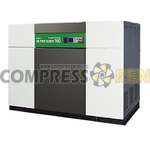 Compressor equipment :: Air compressors :: Oil free compressors :: Безмасляные компрессоры серии DSP Next2 (2 ступень) HITACHI - Генераторы, компрессоры, осушители и фильтры сжатого воздуха. Как снизить себестоимость продукции и сократить затраты на производство сжатого воздуха в действующем производстве. Exclusive Terms for SubscribersSubscribe to our news and get a 10% discount coupon! This website is for informational purposes only and under no circumstances is not a public offer determined by the provisions of Article 437 (2) of the Civil Code of the Russian Federation. * Attention, due to the continuous improvement of the equipment, technical specification, the price of the product may change without notice. Specify details by phone.